Arrival in Ekaterinburg in the evening. Transfer the airport/railway station to the hotel. Overnight. In the morning you will have a city tour. During this tour the guide will lead you through central streets and the historical center of the city and show you some original samples of the old machinery on the Historical Square. There will be an opportunity to visit splendid Church on Spilled Blood at the Romanovs’ Death Site and the Chapel of St. Elizabeth. 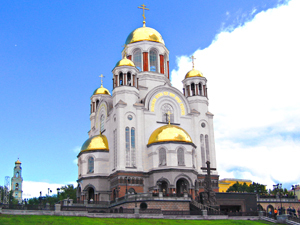 You will observe beautiful views of Ekaterinburg and the City Pond from the Hill of Ascension. The sorrowful Afghanistan memorial site at the Square of Red Army, gorgeous villas of Ural merchants of 19th century and monumental buildings in Stalin’s neoclassicism style are to survey, too. The tour also includes a visit to one of the local museums. Then you will have a tour to the Romanov’s Monastery which is dedicated to the Romanovs Tsar family. The monastery was built on the spot where the bolsheviks tried to hide the family's corpses in a secret grave. Continue with a visit to Europe & Asia Obelisk. You will cross the borderline and get a special certificate with a glass of sparkling wine. Overnight in Ekaterinburg. 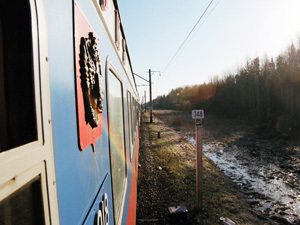 In the morning you will be transferred to the railway station to take a train to Novosibirsk. Arrival in Novosibirsk at noon. You will be transferred from the railway station to the hotel. 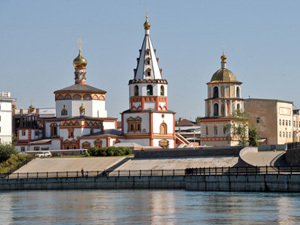 After checking-in enjoy a 4 hour walking city tour of Novosibirsk that covers all the main attractions of the city: Novosibirsk Railway Station, Ascension Cathedral, Krasny Prospect, Lenin Square, Russia's biggest Opera House, Gorky Street, river Ob’ embankment, colorful Siberian farm-market, and St.Nicolas Chapel – the geographic center of Russia. You will also have a chance to visit one of the museums. Overnight in Novosibirsk. Transfer from the hotel to the train station to take a train to Krasnoyarsk at noon. Arrival in Krasnoyarsk after midnight. Transfer from the railway station to the hotel to rest. In the morning you'll go on a tour to the National park to see the unique rock formation – Stolby. The National Park covers an area over 47 hectares, but only 3% of that territory is available to visit. The image of each rock is so unique and inimitable that almost all of them have their own names. On the tour the guide will tell you about the Park and the Stolbist movement. Transfer back to Krasnoyarsk. Overnight. In the morning you’ll have a 3 hour city tour. You will visit the Praskeva Pyatnitsa chapel, Mira square, Yenissey river embankment, and Karaulnaya hill to see the whole city from above. You will also walk through the old streets of the city and learn where their names came from. Transfer to the railway station to take a train to Irkutsk. Arrival in Irkutsk in the morning. Breakfast at the local restaurant. Transfer to Listvyanka village. Guided tour to the local Baikal museum that has a set of aquariums. There is one with the only mammal representative, the Baikal Seal, in it. Your guide will show you the famous Shaman Rock and tell you the legend about the naughty Angara River. Take a chair-lift to a nearby view point. 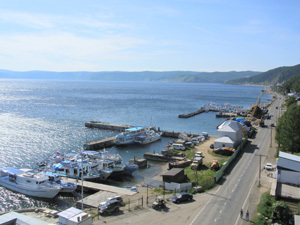 There you’ll get a chance to take panoramic pictures of Lake Baikal from above. Lunch with Baikal cuisine. Enjoy your visit to the local 19th century wooden St.Nicolas church and a local fish market where you’ll see a great variety of fish. Russian sauna can be booked on spot. Overnight in Listvyanka. 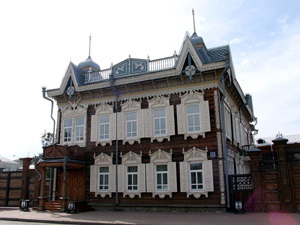 A trip to the wooden architecture museum Taltsy. 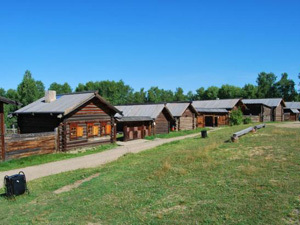 In the museum you’ll see the settlements of indigenous Siberian people of 17th-20th centuries. Some of the buildings presented in the museum were brought there from the villages that were flooded after building a dam in Irkutsk. You'll have lunch in the authentic restaurant and have free time to walk around. 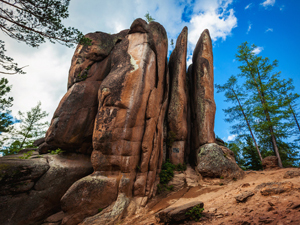 On the way back to Listvyanka you will make a stop at the Shaman Rock observation point. Overnight in Listvyanka. In the morning you will be transferred from Listvyanka to Irkutsk. Enjoy a 2 hour city tour by car. It starts at the historical part of the city: Epiphany Cathedral, the oldest stone-structure Church of our Saviour and the only Catholic Cathedral in Irkutsk, Polish Roman Catholic Church. The tour leads you through the Kirov Square and circus. You’ll have a ride along the main street of Irkutsk, the Karl Marks Street, to get to the Angara river embankment, where you’ll see the monument to Alexander III. 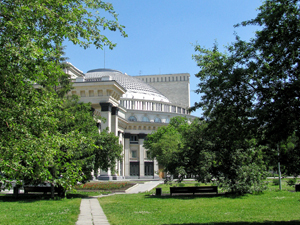 Complete the tour with the visit to the district of historical wooden buildings. Overnight in Irkutsk. Breakfast. Check-out and transfer to the airport/railway station. Note: The tour price is for your reference only. The exact price can be confirmed only after the dates are set.